Reporting the EU – March 2019 | Looking for a literary party? Your search ends here. EU’s Copyright Directive Becomes Law, So What Now? In the midst of the Brexit madness and general mayhem of the EU Election period, laws are being debated and passed. According to some, they have the potential to “kill” the internet. Based on modernising copyright laws for the digital age, the new directive is heavily debated, and one article at least is now law. So, what are the controversial parts of the European Union Directive on Copyright in the Digital Single Market? Articles 11 and 13 are the major sticking points, relating to the reproduction of copyrighted content. Article 11 allows publishers such as news organizations to ask for remuneration when their content is posted elsewhere, with the obvious targets being news aggregators such as Facebook and Google News when they feature a link to a story. The argument behind it is that the news sites themselves receive less traffic if the consumer has already read a large portion of their story before having to visit the site. However, the obvious counter to this is that aggregators are the main source of traffic for many sites, and their closure would disproportionately affect smaller publishers. Article 13, passed by the Parliament on Tuesday, appears merely a tightening of current rules rather than widespread changes, the changes will alter the balance of power in the favour of rights holders. It does so largely by making hosting and video-on-demand platforms such as YouTube responsible for the copyright infringements found on their sites. Those in favour of the directive simply say that they’re helping enforce the remuneration that creators deserve for the use of their work by third parties, and fair use of content will be protected. However, some believe that it’s a power that will be abused, and that the measures required for sites to enforce it are nearly impossible to implement effectively. With so much confusion around what exactly the changes will mean for the future of the internet, there’s little wonder that a frenzy has been struck up online. The EU has found major opposition in YouTube, with CEO Susan Wojcicki being one of the most vocal voices against the directive. In a fiercely worded statement, Wojcicki denounced the proposed changes, “Article 13 as written, threatens to shut down the ability of millions of people – from creators like you to everyday users – to upload content to platforms like YouTube”. As with all directives, these are simply frameworks that the EU is voting whether to adopt; member states have the final say on how it works in their individual markets. It’s argued that this lessens the impact of the vague language in the bill, as individual countries can nut out the final wording to fit their own laws, but others believe it only muddies the waters even further. YouTube has singled out the vagueness of the proposed bills, and not necessarily the bills, as the biggest threat to the current state of the internet. The media company claims that video-on-demand sites cannot possibly be held accountable for everything their users upload on the platform. YouTube has indicated that they believe Article 13 is an attack to the creative side of the platform. Specifically, through their own statement and also throughout countless user-generated videos, they’ve made mention of their belief that the new regulations will severely harm “transformative content”, such as parody, commentary, and even news coverage, since most of this content is not licensed. YouTube’s biggest creators have been vocal on the topic of fair use as well, having voiced their concerns. Phillip DeFranco runs a news-oriented channel on the site that’s received over two billion views. He’s been vocal against the directive, claiming their current from will directly interfere with his ability to make videos as he does now, threatening his company and livelihood. Voss of the EPP however, believes that opposition to it simply boils down to money, with YouTube amongst the sites that are stirring up an army to fight their cause for them. “The fear [of Article 13] is not justified… Of course, I’m not surprised that these companies [YouTube, Facebook] are against it, because they don’t want to pay more money, the fair remuneration to everyone. Because now they pay just a “tip” for everything, and of course they don’t want to be liable for everything that is going to be uploaded on their platform. From a number-based point of view, the heavily debated Article 11 seems to assume that as soon as it has been implemented, consumers will head straight to the original source for find content, rather than being directed there; However, social media platforms like Facebook and aggregators like Google News, who both oppose the change, are one of the biggest traffic sources for media and news-oriented sites. Although a large number of users simply read the titles and the snippet links of the articles on aggregators, a considerable amount of social media users are only informed about the existence of said articles by using the platforms. It seems illogical that when news breaks, traffic to the news websites to read about it would be maintained if social media and aggregators have less power to inform people about it. Those behind the bill believe that companies like YouTube and Facebook are abusing their responsibilities and need to be held accountable in the future. Thus, the only solution is to hand the power to the other side, with publishing companies apparently far more worthy of wielding the mace. But if we’ve seen unregulated monopolies form on one side, why should we expect any better from the other? The Arctic and their inhabitants are going through a radical transformation and many are calling on the EU to change their Arctic policy to better reflect this. The Arctic may seem like a challenging climate to live in however over four million people live above the Arctic Circle, a number that is growing annually as the temperatures warm up and the sea ice melts due to climate change. Five out of eight Arctic states are either EU members (Sweden and Finland) or associate members (Iceland, Norway and Greenland). However, amongst the eight Arctic nations these people live very different lifestyles. “The Norwegian Arctic is very different from the Canadian Arctic, which is vast and very cold… most of the Norwegians, they have the same lives that we have in towns and cities,” says Tone Lang, a counsellor in international relations at the Norway House in Brussels. Although these populations have very different ways of life, a unifying theme is that they are all being drastically affected by climate change. It is not a political debate in these regions, it is a reality they cannot ignore. The Arctic has warmed more than any other region on earth over the last 30 years according to NASA, with the volume of sea ice declining around 30% in that same time period. In February 2019 the EU Commission President Jean-Claude Junker made it clear he wanted to elevate the Arctic in the EU agenda. This was in response to increased Chinese and Russian development in the Arctic and the need for the EU to have unhindered access to resources in the area. 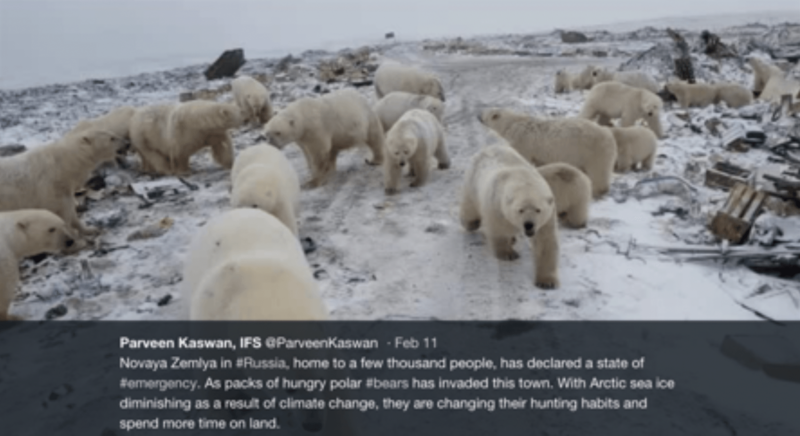 Tweet from Russia showing the effects climate change is having on the populations. Source: Parveen Kaswan. However, the EU’s relations with some Arctic nations have been strained in the past. In 2013, the EU adopted a seal hunting ban which angered Indigenous populations in Canada and Greenland who rely on seal hunting to sustain their livelihoods as food imports are highly costly. This is an example of how those living in the Arctic often feel ostracised by governments who are making policy that is shaping their livelihoods. “The Arctic regions have always been peripheral to where power and decision making has been made in these countries (the Arctic States)… there have always been very colonial types of power relations,” says Wilfrid Greaves, an international relations professor at the University of Victoria. 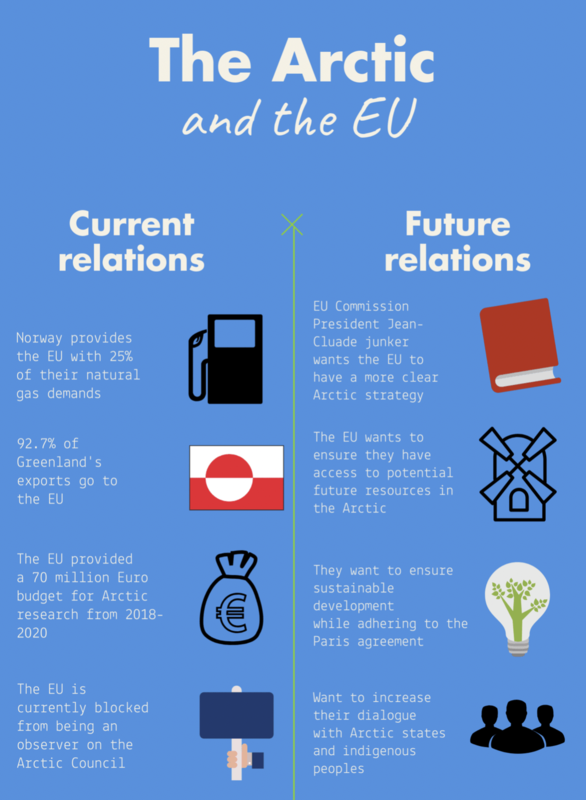 Resources, sovereignty and sustainable development have so far been the predominant focus of the conversation around the Arctic in the EU. However, Indigenous inhabitants will continue to fight to have their voices heard in Ottawa, Copenhagen and in Brussels with climate change being an irreversible reality that is shaping their lives. The European Council has signed an agreement to ban commercial fishing in the Arctic for five years, which is in line with the cautious approach for the region, consider experts. The six Arctic Ocean coastal countries, Canada, Russia, the United States, Norway, Greenland, Iceland along with Japan, China, South Korea, and the EU have signed the deal. The agreement is set to last for 16 years, being renewed every five years. “From our side, we thought we would like to take the precautionary principle here,” said Mininnguaq Kleist, Head of Representation of the Greenland Representation to the EU. The United Nations Convention on the Law of the Sea (UNCLOS) guarantees an exclusive economic zone (EEZ) of 200 nautical miles extending a country’s coastline. Countries are able to extend their territory by scientifically proving that their limit does not stop at the end of their EEZ. Adam Lajeunesse, a Canadian expert on northern security issues, explains the process of building up a submission to the UN as being complex. Countries’ need to collect scientific data to prove that their territory continues beyond their coastline. This territory is referred to as the continental shelf. Canada, Russia, Norway, Greenland, are trying to extend their continental shelves “which is something they are allowed to do and right now all these players are playing by the rules set down by the UN,” said Lajeunesse. Having access to the Arctic is about identities for countries like Russia and Canada estimates Kathrin Stephen, a researcher at the Arctic Institute. The focus in the Arctic isn’t new, but the changing environment has opened up possibilities for countries. “The interest has always been from the dynamism of the region changing quite constantly,” said Lajeunesse. The potential for conflict lies in the possible territorial overlap between countries who claim sovereignty over a zone in the Arctic. Citing the conflict between Russia and Norway, who resolved an issue over overlapping territories peacefully, and without UNCLOS. “That dispute had the potential to be a flashpoint for conflict”, with Norway being a member of NATO, unlike Russia. Adam Lajeunesse believes the high number of uncertainties about the area still requires a massive effort of research. “That extended continental shelf gives you control over the resources there, but whether or not there are resources in the Arctic Ocean, that still remains to be seen,” he said. “It’s very much a very slow process that has been unfolding legally and in an orderly fashion, but whether or not there is a dispute is probably something we are going to figure out in 10 years,” said Lajeunesse. “They are more focussed on opening trade routes and shipping paths to help build revenue and business for the Russian economy,” said Wilfrid Greaves. Norway is “keeping an eye on” Russia, even though, Lang believes there is not much concern yet. “We have the responsibility towards NATO to be vigilant,” she said. Greenland is part of the kingdom of Denmark, meaning that the claims for sovereignty on the Arctic are made in collaboration. “We insist on being the ones that set the line, because we are the ‘Arctic people of the Kingdom’, therefore we are the affected ones,” said Kleist. Currently, there is no oil drilling in Greenland territory. The risk for environmental damages is too high to lower Greenland’s standards, which has made the costs too high for any development in the oiling sector. 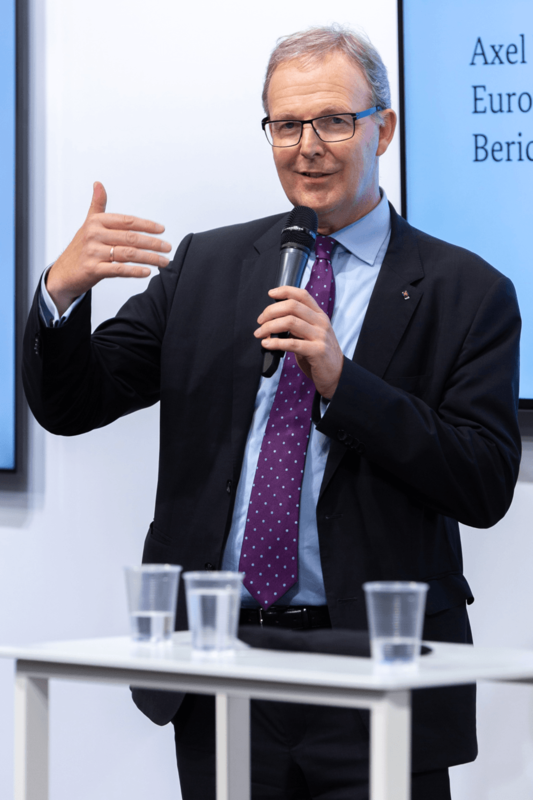 “But the matter is that countries down south continue with their activities, and we also need to develop ourselves,” said Kleist. Bringing an environmental concern to the table, Kleist expressed concerns relating to the fact that these new trade routes in the Arctic will bring the money saved into economical development of countries in the south, and therefore emit more pollution. The European Union states that their interest in the Arctic is motivated by the presence of EU citizens living in the Arctic. 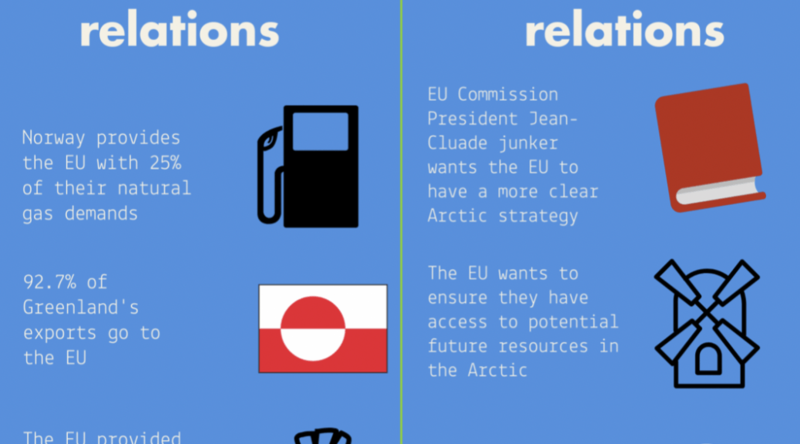 In February 2019, the President of the Commission, Jean-Claude Juncker made it clear he wants to put the Arctic at the forefront of the EU’s agenda. The EU wants to secure their access to oil, gas, minerals, fishing stocks, shipping routes and other Arctic resources and ensure that they don’t get left behind in this rapidly changing area. Finland will be taking over the role of the Presidency of the Council of the European Union later this year. Juncker is hoping to make the Arctic a bigger focus during in their program, during their 6 months mandate. 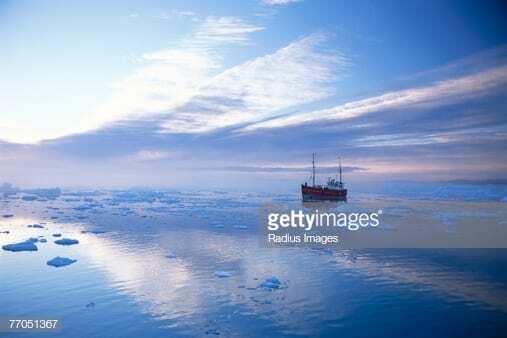 Predictions say that by 2035, the Arctic will be ice-free in summer. “What we are required to do is imagine how the Arctic will look like in the future,” said Wilfrid Greaves. Belgium’s former Prime Minister Elio di Rupo had a “friendship tour” to Morocco in the beginning of March, according to Morocco WorldNews. During his visit he mentioned that Morocco as a “bridge” to Africa for a European Union. It is connected to Morocco`s strategic location what makes a country being a very important partner for EU. “Morocco is one of only a few fairly stable and cooperative countries for EU along its outer border. 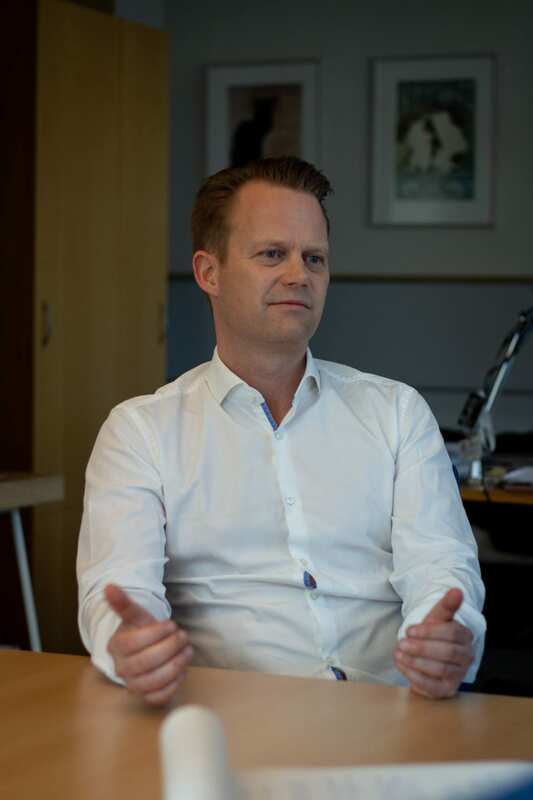 Morocco is both a key trading partner for Europe, and a key partner along its border, when it comes to issues of migration and trafficking” , – said Adam Moe Fejerskov who is a researcher in Danish Institute for International Studies. Former Prime Minister said that Brussels is planning to invest more in African affairs and that Morocco should be the starting point of the EU-Africa cooperation. “Africa is a key continent for European trade, economic relations and security, in the future. The continent forms Europe’s outer border to the south, and the economic prospects are increasing, even if conflicts are still abound on the continent” – says Adam Moe Fejerskov. European Union strengthens cooperation with African states. At the beginning of March 2019, the Task Force for Rural Africa introduced a final report of agri-food and rural agenda for the new Africa-Europe Alliance for Sustainable Investment and Jobs. The Alliance was announced by President Jean-Claude Juncker in the 2018 State of the Union. The partnership between EU and Africa has begun at the Africa–EU Summit in Lisbon in 2007, when The Joint Africa-EU Strategy was signed. That became the official platform for the EU’s relationship with African countries. Ten years later two continents agreed to strengthen their partnership during African Union – European Union Summit. The commitments taken at the summit are the main goals of new alliance. The European Commission committed to promote sustainable African agriculture and the food industry. This task is the aim of the new agenda, which has become part of the Africa-Europe Alliance for Sustainable Investment and Jobs, presented by President Jean-Claude Juncker in the 2018 State of the Union. The development of the EU gender equality is maintained and may be improved after Brexit, however; Brexit will affect the pursuit of gender equality in the UK because of its separation from the EU’s laws and policy pathway concerning gender equality. “I am quite afraid of what will happen to our sisters in the UK after they leave the Eu,” said Cinzia Sechi, the senior advisor on the gender equality issue at the European Trade Union confederation. There might be a risk of an increase in the gender pay gap if the UK did not set up new measures to address the issue of gender equality; as well as tension about what will happen in terms of social rights after Brexit. Another point that increases this risk is that in Belgium and Denmark are very strong sectoral social dialogues -where the employees in companies discuss together the issue of work localization- which is not found in the UK. The UK has many institutions that are succeeding in raising awareness but not so much when it comes to solutions. “In terms of raising awareness the UK is extremely good. Being vocal is important but not enough,” said Sechi. “Nobody knows what will happen after the 29th of March, but they keep saying that they would like to maintain their status quo and not to go backwards, I hope this will be the case. Women are more likely to have a higher education degree but remain underrepresented in the labor market. Discrimination in equal pay remains an issue that a lot of women in Europe continue to struggle with. Why does Gender Pay Gap still exist? Women are still facing inequalities when it comes to job opportunities and salaries, despite the improvements Europe has made to fight gender stereotypes, gender discrimination and gender pay gap. The problem is not yet solved, and it still exists in the European countries. The General gender discrimination and the gender stereotypes are main factors of the gender pay gap persistence. It seems that there is no clear evidence that states the cause of this issue still existing. The part that can’t be explained continues to be pure discrimination. That is, the mentality that women should be paid less and kicked out of the labor market. It is important for women to continue with showing their rage and try to demolish those stereotypes. “Unfortunately, there are only small improvements” said Noichl, “We need equality now, not only in the next century”. What is being done about the gender pay gap? There have been advancements such as the day women in the EU stopped earning money compared to male workers, however; the EU and member states have acted to address this persistent inequality, women still earn around 16 percent less than men. The commission’s current gender equality policy is based on the Strategic engagement for gender equality 2016-2019 which focuses on promoting gender equality and woman’s rights across the world, combating gender-based violence and most importantly reducing the gender pay, earnings and pension gaps. One of the objectives is to increase the female labor-market participation and equal economic independence of women and men. Some of the key actions to reach these objectives are to further support companies’ contributions regarding this issue in order to increase female labor-market. The European Trade Union (ETU) uses the Bargaining for Equality study which is a collective bargaining that contributes to eliminate pay discrimination between women and men performing the same job or job of equal value. This study contains more than 50 collective agreements that have been successfully shrinking the gender pay gap. Studies show that when you have a good social dialogue the gender pay gap is smaller because when you have workers and employers trying to find a solution together; it pays off,and when you have individualized solutions the pay gap is much higher. “We have been able to fight against slavery, and go to the moon,” said Sechi “Why aren’t we able to fight against gender pay gap? 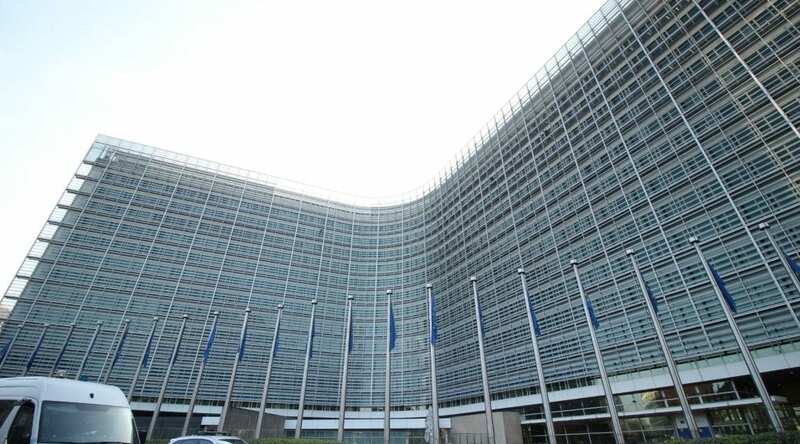 More than 800 billion Euros lost every year: Is the EU finally combating tax crimes? Every year the European Union loses billions of Euros due to tax crimes committed by banks and corporations. The rise of multiple tax scandals has pushed politicians in the EU for tighter regulations and policies on the financial market. To combat tax scams in future, the European Parliament is now taking actions. A special committee in the European Union, called TAX3, has proposed several initiatives to fight money laundering, tax evasion and avoidance. 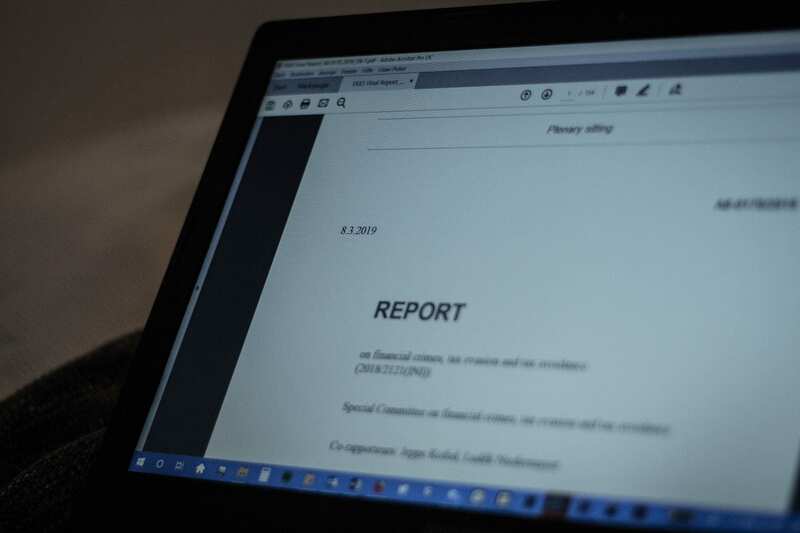 The committee’s report comes in the taillight of numerous financial scandals such as the CumEx-Files and Danske Bank’s money laundering scheme in Estonia. Tax evasion costs the European Union approximately 825 billion euros a year, according to a 2019 report commissioned by the Socialists & Democrats group within the European Parliament. Tax avoidance, while legal, costs upwards of 160-190 billion euros a year, according to a 2015 report from the European Parliament as well. Combined, these methods of avoiding taxes cost the EU approximately 1 trillion euros a year. 1 trillion euros is not a new figure within the EU’s fight against tax crimes. In 2012, the European Commission enlisted tax researcher Richard Murphy, who would go on to write the 2019 report mentioned previously, to estimate how much money was being lost per year within the EU. 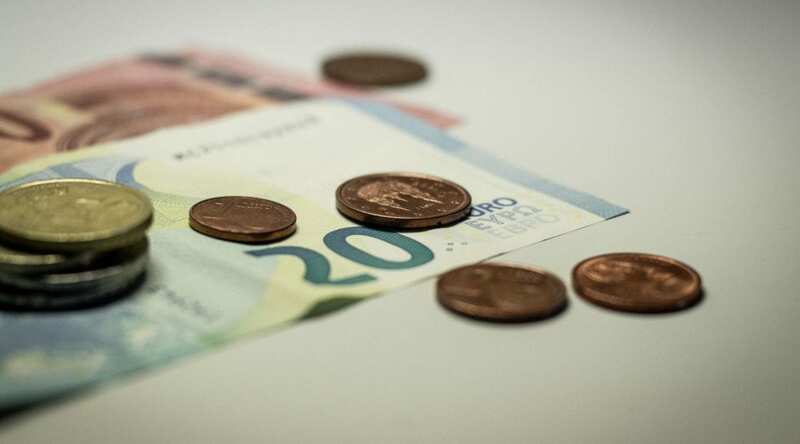 His estimate given to the Commission was 1 trillion euros, showing a drop of 175 billion from 2012-2019. While the EU has combined the issue of money laundering, tax avoidance and tax evasion under the same umbrella of financial crimes, they are very different things at the base level. Tax evasion is the illegal practice of making a higher wage than the one that a person reports to their tax authority. This causes the person to pay less taxes on their income and therefore illegally save money. Tax avoidance, however, is the technically legal practice of using loopholes or other methods within the tax laws to allow for less taxes to be paid. This can be done through a variety of ways, including aggressive corporate tax planning or using tax havens, etc. Both of these practices are very different from money laundering. “Money laundering, at the most basic level, is how to figure out ways to take money from crime and make it legitimate in the financial world. Whether you use the banking system or something else, money is only in your hand from a criminal way and you need to be use it,” said Eleni Tsingou, an associate professor at the Copenhagen Business School and an expert on anti-money laundering regulation. To further combat the issue of financial crimes, the European Parliament in 2018 issued a special committee, known as TAX3, to investigate and gather facts around the globe on tax evasion, avoidance, tax havens and money laundering. 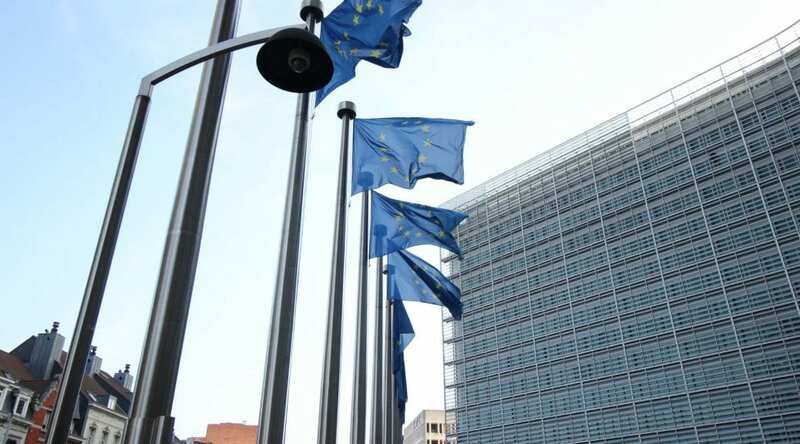 They completed their mission in February 2019, producing a list of suggestions including a European financial police force, a multinational money-laundering watchdog organization, and a list of seven EU countries labeled as tax havens. “It is indeed a global problem, which means that we have a global strategy, an EU strategy, and dealing with individual member states,” said Commissioner Margrethe Vestager, the European Commission’s commissioner on competition. The issue of financial crimes have been an important topic in politics for much of history but this issue can be highlighted through multiple scandals of the last 10 years. These scandals are ranging for highly complex tax schemes, such as the CumEx-Files, to simple exploits of a system that isn’t working, such as Danske Bank. These scandals have elicited a response from the European Union institutions, where they have tried to pass proposals to combat both tax evasion and tax avoidance, such as public country by country reporting and a blacklist of tax havens throughout the world. One issue within the EU system of combating these financial crimes is the influence by accounting firms in the policy making process. According to the organization Corporate Europe Observatory, the “Big Four” accounting firms, not only provide advice to major corporations on how to avoid taxes, also advise the European Union institutions on how to stop the tax avoidance schemes. “The ‘Big Four’ are seen [by the EU] as providing paid effective and unbiased advise. And the Commission is even prepared to pay for that advise,” said Vicky Cann, a campaign researcher from the Corporate Europe Observatory. Who are the “Big Four”? 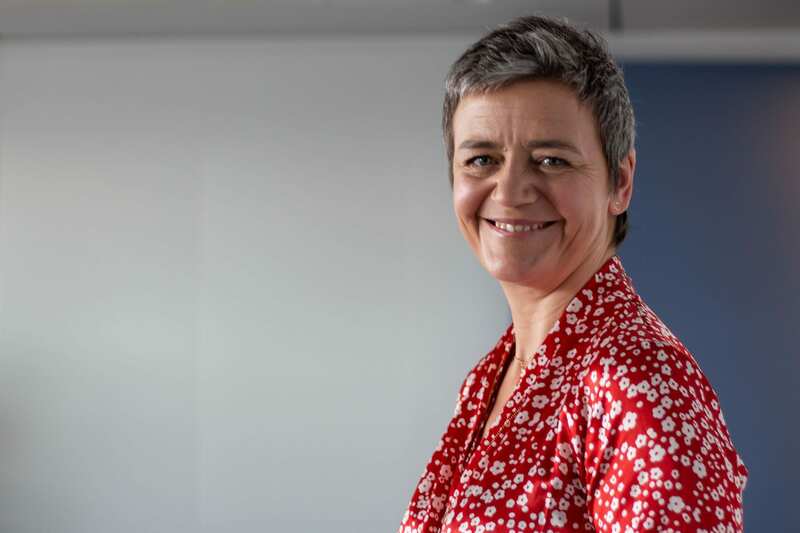 Commissoner Vestager said that the outside experts are held to a regard of having to report when corporations ask for a tax scheme or help in avoiding taxes. The Commission, however, does not have much power over these accounting firms, due to their implicit role in financial policy and the lack of experts from within the EU. “There is a mismatch between the resources and the amount of issues the Commission has to cover. It is depending upon paid advice (public procurement) and informal unpaid advise through advisory committees,” said Cann. The influence from outside organizations and advisors is not the only problem that the EU has when combating financial crimes. Some proposals are blocked by the Council of the European Union, where every member state has the ability to veto a proposal. The system also allows for the individual member states to interpret a directive to fit within their own governmental system. This kind of interpretive tax planning allows for loopholes and unfair markets that corporations can abuse to get cheaper tax plans, said Kofod. These issues are what is ahead for the suggestions provided in the TAX3 committee’s report, which will be elaborated and changed throughout the legislative process. The European financial police force suggested would be an addition to the international police force Europol. It would allow for more coordination and communication and a flow of data. An multinational anti-money laundering watchdog has also been suggested within the report. The established regulations within the member states of the EU against money laundering are already robust and enough to combat the issue, said Tsingou. According to the TAX 3 committees report and co-rapporteur Kofod, the laws are stronger than in the US but the detection and law enforcement are not strong enough to combat the issue. “We need to have these recommendations and new legislation to push member states’ behavior and I think we can succeed in that but it takes time,” Kofod said.